It's been record-setting hot lately. Just ask the National Oceanic and Atmospheric Administration (NOAA), which recently released data showing that this was the warmest winter in the continental United States in 121 years of record keeping. Those of us in the know are familiar with the correlation between hotter temperatures and rising greenhouse gas emissions. This is pretty much the foundation of global warming. New data from the oldest carbon dioxide tracker on the planet—located in Mauna Loa, Hawaii—shows that carbon dioxide levels are also elevating to new, unprecedented heights. According to preliminary figures from the station, which is managed by NOAA, the average carbon dioxide level recorded during February 2016 was 404.02 parts per million—3.76 ppm higher than the average for February 2015. If this data holds, it will represent the biggest ever increase over a 12-month period since the station started taking measurements in 1958. The previous 12-month record at Mauna Loa was 3.70 ppm, from September 1997 to September 1998. Both 2014-2015 and 1997-1998 were El Niño years, a warming in the Pacific Ocean sea surface temperatures that not only contributes to elevated atmospheric temperatures but also to increased carbon dioxide levels due to an increase in wildfires. For example, throughout much of the autumn of 2015, massive wildfires engulfed large tracts of Indonesia's tropical forests, spreading air pollution across wide swaths of the globe. Not only does the new data point to the largest ever 12-month increase in carbon dioxide levels, but it also establishes the biggest rise ever over a calendar year. According to NOAA, in 2015 global carbon dioxide levels rose by 3.09 ppm, significantly beating the previous record of 2.82, set in 1998. Crossing the 400 ppm threshold for a sustained period of time is significant in itself, as many scientists viewed this concentration as a level at which atmospheric carbon dioxide should be stabilized in order to avoid the worst impacts of climate change. Before the start of the industrial revolution in the mid-19th century, carbon dioxide concentrations were around 280 ppm. Carbon dioxide has increased by about 24% at the Hawaii station since 1958. Carbon dioxide concentrations haven't been this high in millions of years. Even more alarming is the rate of increase in the last five decades and the fact that carbon dioxide stays in the atmosphere for hundreds or thousands of years. This milestone is a wake up call that our actions in response to climate change need to match the persistent rise in carbon dioxide. Climate change is a threat to life on Earth and we can no longer afford to be spectators. The Mauna Loa Observatory is more than just a leading carbon-tracking station, it is also one of the most famous symbols of humankind's impact on Earth. Charles David Keeling, who worked with scientists from the U.S. Weather Bureau and NOAA to set up the station in the middle of the last century, is the namesake of the Keeling Curve, a well-known graph plotting the ongoing change in the concentration of carbon dioxide in Earth's atmosphere since 1958. 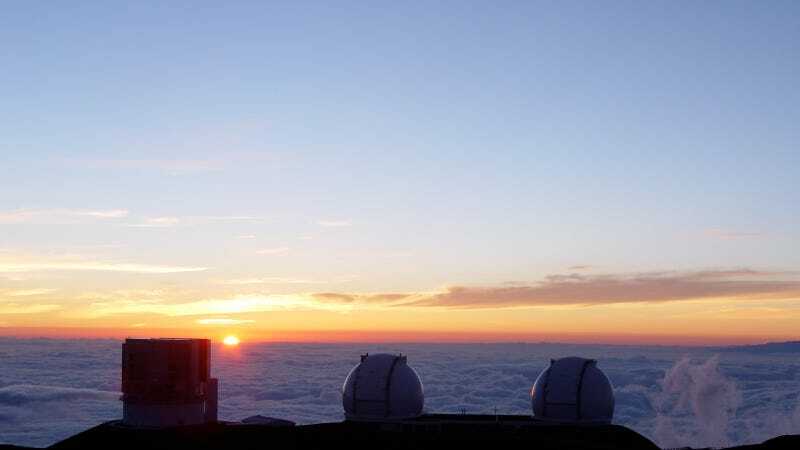 The Observatory is located almost 14,000 feet above sea level, reducing any disruption atmospheric readings might experience due to air pollution. Hawaii is also located in the middle of the Pacific Ocean, far removed from many other potential disturbances.